This monument to the victims of a tragic explosion is said to turn and look at passing cars. On March 14, 1908, a gas explosion in the basement of the Natchez Drug Company killed five young female employees—the youngest was only 12 years old—and caused the prominent brick structure to collapse. The victims’ tombstones are marked with only their last names. There is, however, an additional monument to the dead workers. Their former employer was so distraught by the explosion that he paid for the women’s burial plots and commissioned this stone angel to stand over their modest graves. 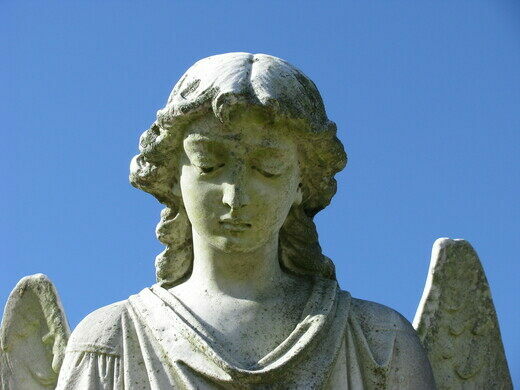 The angel has since attracted a fair bit of attention to the historic Mississippi cemetery. It’s now known as the ‘Turning Angel” statue because, according to some, it turns to look at cars driving by. This effect is said to be most noticeable at night, when the cars’ headlights shine on the statue around the bend of the road. The turning effect, combined with the tragic story of the angel’s dedication, make this site loom large in Natchez. Local author Greg Iles even has a book titled Turning Angel, which was named for the statue. 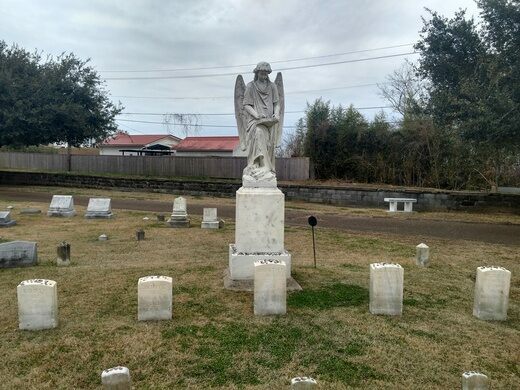 The Turning Angel statue is located in the Natchez City Cemetery, near the front left entrance. The cemetery hours are from 7 a.m. to dusk. 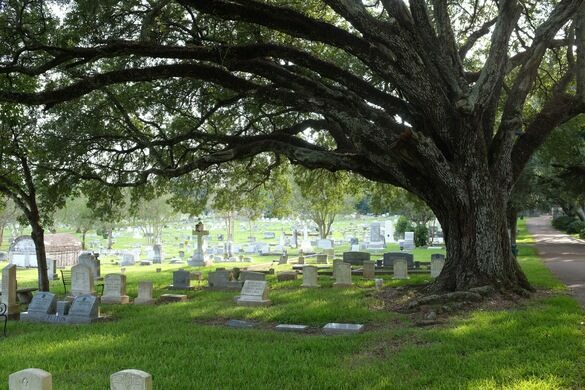 A guided tour of the cemetery can be acquired at the cemetery office or the Natchez Visitor Center.